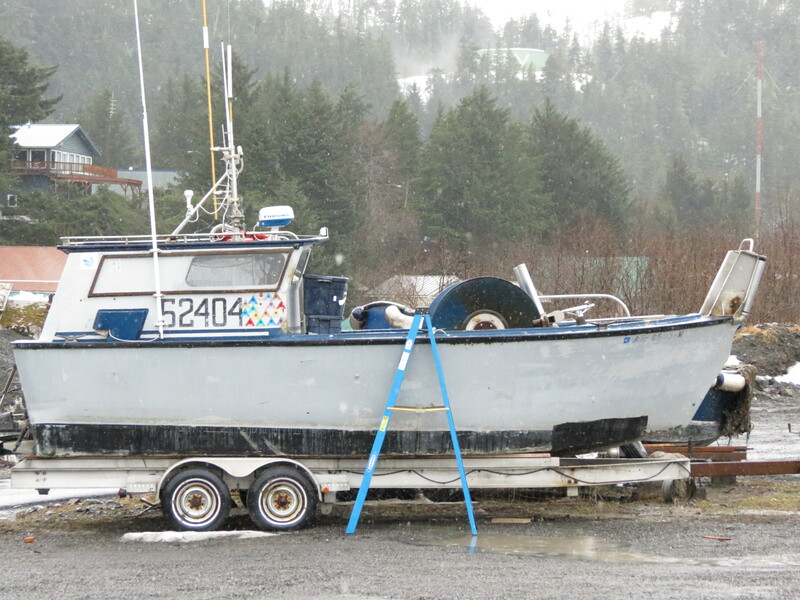 In hopes that those Copper River salmon would soon be here. 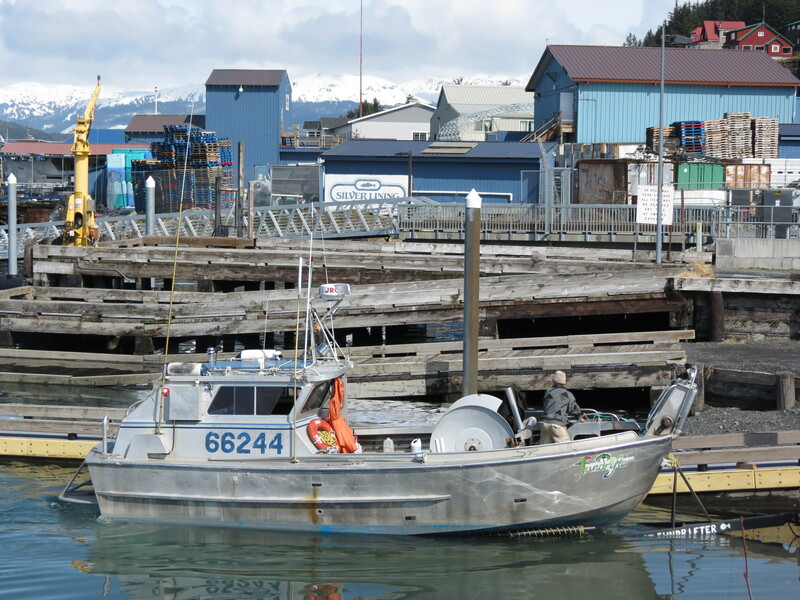 As the Copper River fishing season creeps up upon us here in Cordova, Alaska fishermen all over town are a buzz. The countdown has begun! 10 days before the beginning of the season, which starts May 16th, 7 AM and is open for 12 hours. 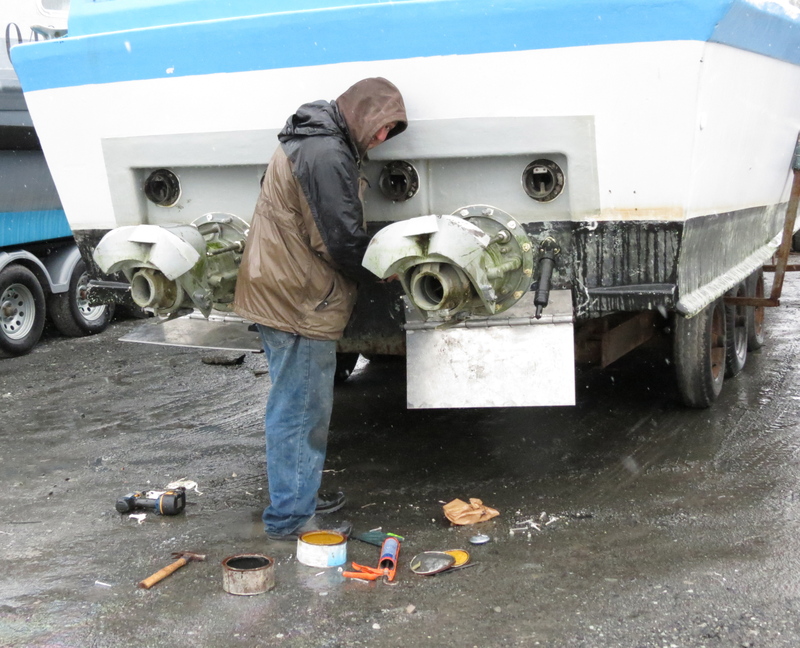 Some guys and gals are just finishing up their planned winter projects of flushing their decks, rewiring their boats, replacing steering lines, installing hydraulics, splash zoning, or replacing their engines, to name a few. Others have discovered surprises on their boats, such as finding out water leaked into their fish hold over the winter, froze, expanded, and cracked said fish hold. No bueno. This time of year, fishermen can be found wherever their boat is, old harbor, new harbor, outside the cannery, their front yard. Each one is busy as a little beaver wrenching on something. But they still find time to advise each other. Or BSing with each other, hard telling with fishermen. 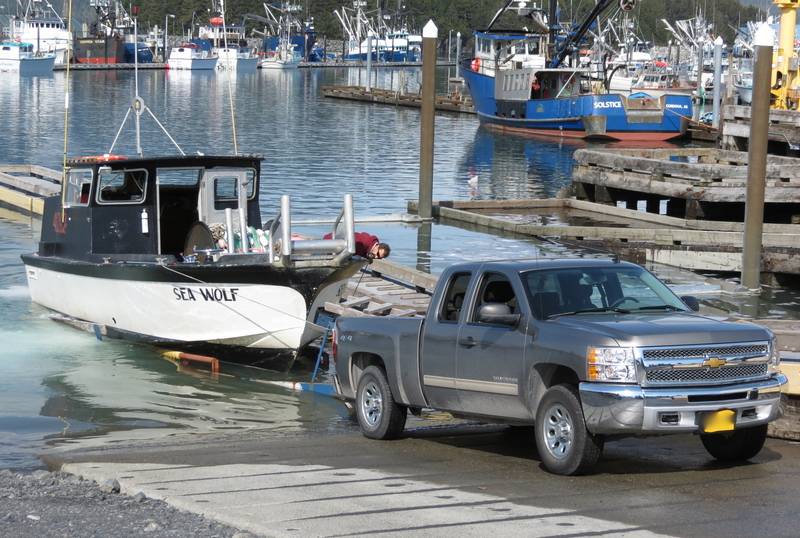 The boat launch is full of activity, too. Boats are launching or getting pulled out for more maintenance. It won’t be long now. 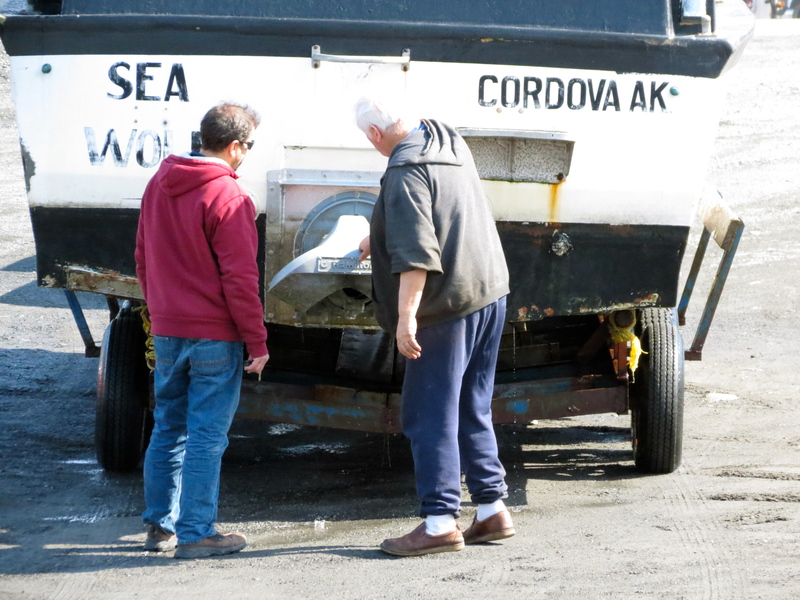 These guys will have their boats in tip-top shape in order to bring you what we have all been waiting for, Copper River Salmon. Categories: Getting Prepped | Tags: community, Copper River Salmon, Cordova, fishing, Jen Pickett, PickFish Tales | Permalink. 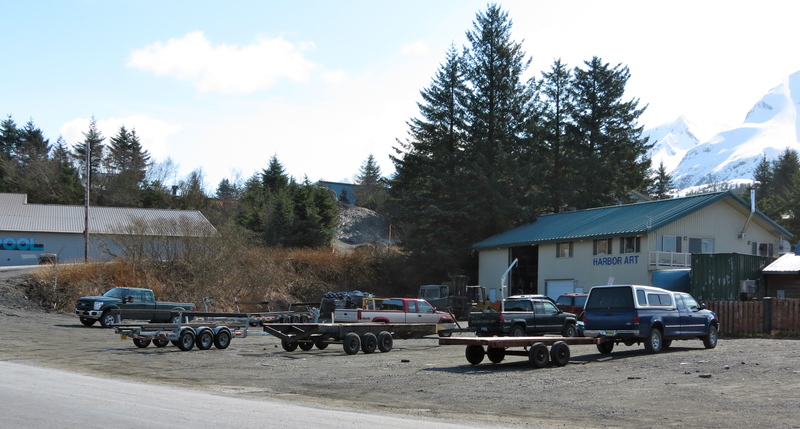 I live in Cordova, AK with my wonderful husband and daughter. I work educating America about Copper River Salmon with an organization funded by the hard-working men and women harvesting the best salmon in the world. In all my extra time, you will find a pair of knitting needles in my hand or I'll be out exploring the awesome landscape around me.